Sometimes - meetings, conversations and going through the "accepted process" just doesn't work. It is then that citizen activists move to Public Action. Here are a few selected actions from across the country and the world that have inspired us. 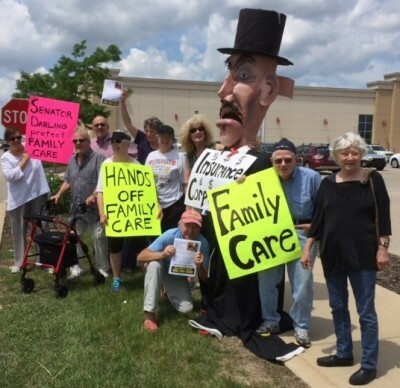 Dozens of older adults rallied in front of Senator Johnson's downtown MKE office to send him two messages: 1) Vote NO on Trumpcare and 2) Meet with your constituents by May 1st. 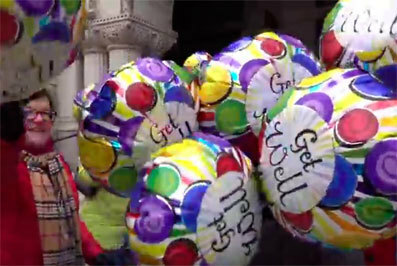 Photo from video by Susan Ruggles. Hundreds of Green Bay constituents of Senator Ron Johnson decided to hold their own Town Hall Meeting after unsuccessful attempts to get the Senator to agree. 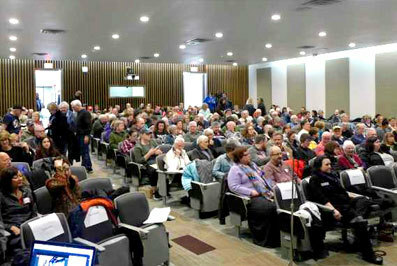 In Salt Lake City, an estimated 1,000 people packed into an auditorium to see Chaffetz as hundreds more waited outside. 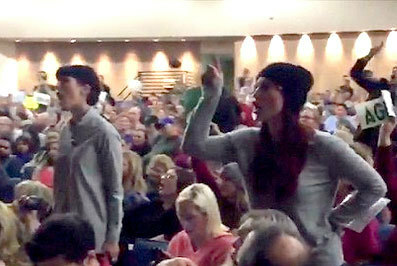 For 75 minutes, the congressman confronted a crowd that fumed with resentment of Trump and accused Chaffetz of coddling the President. 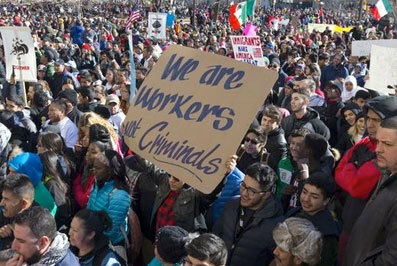 Several thousand protesters gathered on S. 5th St. and began marching toward the Milwaukee County courthouse Monday as part of a "Day Without Latinos, Immigrants and Refugees" protest in Milwaukee. 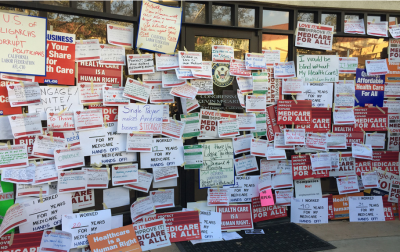 Nearly 1,000 people from all over the state of California descended on the Bakersfield office of House Majority Leader Kevin McCarthy.